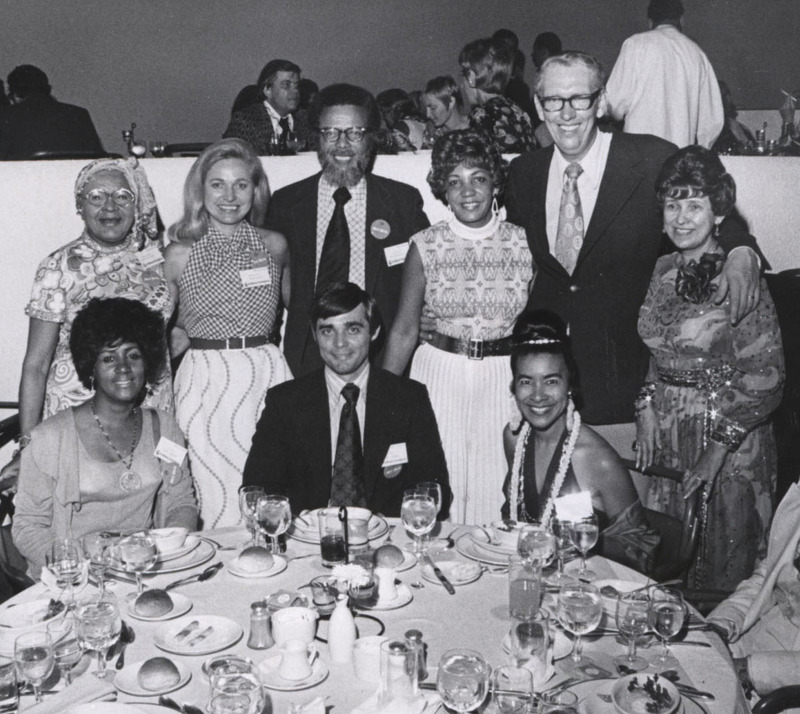 James R. “Jim” Ashlock (standing, second from right) worked for Eastern Air Lines from 1966 to 1991. In 1968, Ashlock was transferred to Miami, Eastern’s operating headquarters. Ashlock held various public relations titles over the next 14 years, focusing on media relations, promotion of new routes and aircraft, crisis response (crashes, hijackings, labor disruptions), employee communications, speechwriting and public affairs. In 1984, he was transferred to Tallahassee, Florida, to lobby against state taxation of airline operations, ultimately rising to Staff Vice President of Government Affairs. He left when Eastern finally shut its doors, two years after filing bankruptcy, unable to recover from its losses. While the oral history interview includes an overview of Ashlock’s life and work, there is a focus on his time in the airline industry, especially his time with Eastern. Of special interest is his recounting of Eastern’s final years, the many changes in management, the strike with the Machinists, the bankruptcy and ultimate shutdown. If you’d like more information about Ashlock’s work or the history of Eastern Airlines, check out the following resources, several of which offer points of view from all sides of the strike. For more information about the Jim Ashlock oral history interview or any of the archival resources listed above, please contact Special Collections and Archives at 404.413.2880 or at archives@gsu.edu. Photo from the Carolyn Lee Wills collection. This entry was posted in Business, Communication, Economics, For Faculty, For Graduate Students, For Students, General News, History, Political Science, Public Management & Policy, Special Collections & Archives and tagged #SouthernLaborArchives. Bookmark the permalink.